Here in the Northwest, we are serious about our kids’ enrichment opportunities. We keep their schedules full of classes, camps and learning opportunities. Lucky for us, it’s easy to make great choices about their activities when we have so many fantastic options. All of this serious scheduling is to ensure that the kids have the chance to uncover their passion. Will it be music, soccer, science, nature, theater or something else? Think of all the fun they’ll have as they find out. Taking first place this year, the YMCA continues to provide convenient and accessible programs that teach droves of children how to stay safe in and near the water. With local branches in King, Pierce, Kitsap and Snohomish counties, YMCA offers a variety of aquatics programs for all ages (in case you want to take a dip, too!). Mountlake Terrace Recreation Pavilion continues to wow with its family swims, warm water, lazy river, access for special needs and more. Oh, and did we mention they do parties? A favorite of Seattleites, Seattle Parks and Recreation Aquatics is your go-to place for all kinds of water-related fun including pools, beaches, sprayparks, open water swimming and the annual Polar Bear Plunge. Notable for its location — tucked beneath a Chinese restaurant on Lake Union — Safe N Sound Swimming is well-known for its one-on-one lessons. These plus swim camps and other programs mean your kid will be swimming like a fish in no time! Swimming matters at Pro Sports Club but this Bellevue destination offers much more than a few nice pools. With a gym, spa and countless other amenities, Pro Sports makes getting your family's rec time in easy! With an extensive summer pool schedule, Stroum Jewish Community Center provides plenty of pool time for your little swimmer. Plus, lessons to make sure your littest fishes are safe and sound as they splish and splash. 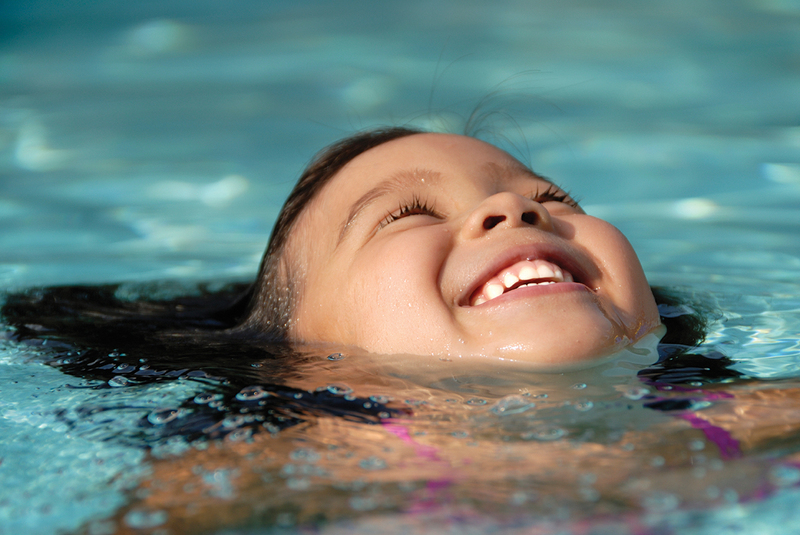 Located on Aurora Avenue in Seattle, SwimGuru provides swim lessons to kids and adults of all ages with courses even available for babies as young as 6 months because it's never too early to teach safety. Families of kids with serious medical conditions love Camp Korey and the carefree fun and games it offers on a huge farm on the Eastside. Founded by the father of a teenage boy who died of cancer, Camp Korey aims to let children forget about their illnesses for a week and turn their focus on the adventure and joy of being a kid. Medical personnel on staff support campers as they partake in activities such as boating, horseback riding, arts and crafts and stage night. Your votes for Camp Korey flowed in, showing your appreciation for this special place and its support of kids and families. Kids with special needs get a warm and enthusiastic welcome at Camp Sealth (which is owned and operated by Camp Fire Central Puget Sound) on Vashon Island, with staff working to tailor the quintessential summer camp experience to each child, whatever a camper’s abilities and desires might be. We’re pretty sure that for most kids, this means having fun with friends and trying new things; your votes affirm that Camp Sealth is successfully providing this for all kinds of campers. Your votes piled up for Seattle’s School of Acrobatics and New Circus Arts (SANCA) and its unique programs in circus arts, such as acrobatics, trapeze and more. You love that SANCA occupies a special and needed space where physical activity and sport are not competitive; here, the environment is open, empowering and fun. SANCA’s classes are open to everyone and its Every Body’s Circus individual coaching program is a good fit for students needing special attention. The Outdoors for All Foundation understands the transformative power of outdoor recreation, and so do you. You voted in support of Outdoors for All’s programs, which get children (and adults) with disabilities out skiing, kayaking, river rafting, rock climbing and more. What started as a skiing program for a handful of kids now reaches several thousand individuals each year, thanks to the dedication of hundreds of volunteers. Camp Prov joins the Golden Teddy list. This integrated day camp for kids ages 2 to 10 welcomes children with special needs and their siblings, encouraging bonding time with a staff that features a speech language pathologist, occupational and physical therapist and other experts. A multiyear Golden Teddy winner, Sunshine Music Together tops your collective list among local arts programs for kids. 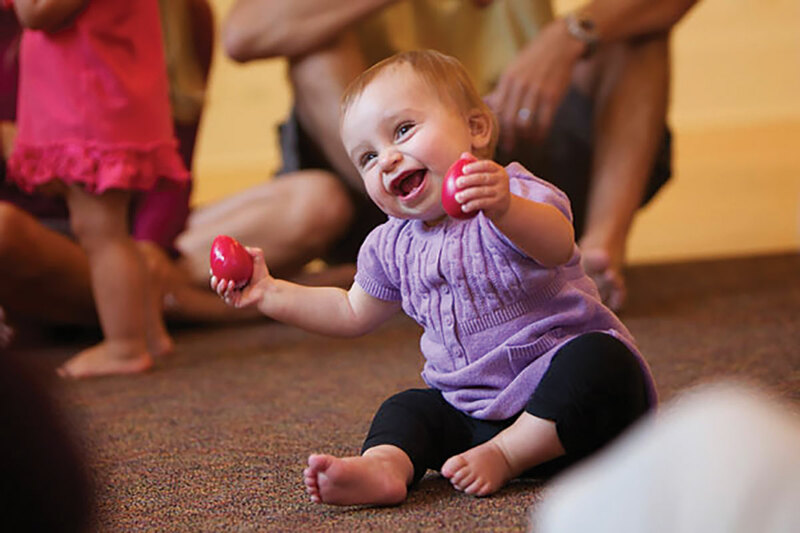 Mixed-age parent-and-tot classes develop natural music appreciation in young children, and you like that the program integrates singing, instruments, movement and play. The catchy, fun songs appeal to kids and grown-ups alike, and you appreciate the engaged, dedicated instructors. “Teachers are lively, inspired and want to give the gift of music,” said one pleased voter, and another liked that the classes helped music become a part of their family’s regular weekly routine. Sunshine Music Together offers regular classes in multiple locations, including Seattle, Lynnwood and Redmond. Seattle’s Illumination Learning Studio earned your votes for its variety of arts-focused programs, including piano and guitar instruction, performing and fine arts classes, and themed summer camps. One voter commended the “great teacher” who is “passionate about teaching.” In addition to classes and camps, Illumination offers before- and after-school programs with transportation, a preschool program, and parent-and-tot classes at its multiple North Seattle outlets. Roaring Mouse Creative Arts Studio lets kids explore creative expression in their own manner and at their own pace, and your votes indicate you’re roaring with approval. This neighborhood studio in Seattle offers classes, camps, workshops, kids’-night-out sessions and birthday parties. Roaring Mouse programs highlight the link between play and art. Your votes indicate you think the world of the Russian-influenced dance instruction at Emerald Ballet Theatre in Bellevue. The school focuses on classical ballet, but also teaches other genres of dance, including character, modern, hip-hop and others. The school welcomes both boys and girls, as well as students with special needs, and offers levels ranging from pre-ballet for preschoolers up to rigorous instruction for aspiring professional dancers. Three Dragons Academy believes kids can do anything — and they're there to make it happen! Founded in 1995 to offer children's theatre and music education, Three Dragons offers children the ability to shape their own creative projects. Adults advise but it's up to the kids to craft a stage-worthy production. This national camp Steve & Kate's Camp provides a variety of activities to keep even the busiest of campers busy and engaged. Find locations in both Bellevue and Seattle. The venerable Pacific Science Center earned scores of your votes for its camps focused on STREM topics, including marine science, cooking, medicine, robotics and even the chemistry of candy! You gushed over the “awesome, intriguing science curriculum” that has campers studying the center’s resident critters (think naked mole rats), connecting science and cooking, or learning the science behind solving crimes. Kids dig the creative and hands-on nature of camps; you love your kids’ huge love for science. A wide array of camps welcomes kids from pre-K through high school. Camps meet in nine Puget Sound–area locations. Everyone wants their kids to have a leg up in today’s competitive world, and your votes show you like the advantage offered by Bellevue’s Russian School of Mathematics (RSM). 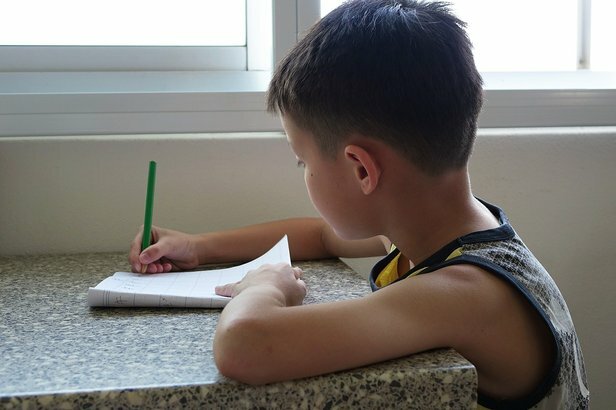 RSM provides after-school and summer math enrichment programs, plus tutoring and test prep for kids, from kindergartners through high school students. RSM employs a traditional Russian- and European-influenced approach to help students excel. Clearly, it’s working well for your kids. Girls Rock Math earned heaps of your votes for its unique camps that make math real — and really fun — for girls. Campers in grades 1–6 build confidence and friendships while using math together with the arts to dig into crafts, painting, gardening, fashion and more. Fun-sounding camp titles include “Crafty Math,” “Math-Magical Garden” and “Super Spirals and Fabulous Fractals.” Girls Rock Math offers its weeklong day camps at nine Seattle-area and Eastside locations. Hands On Children’s Museum in Olympia lives up to its name, giving kids lots of opportunities to create, build, touch, tinker, dig, play, stack, drop, mix, craft and investigate with their hands, minds and bodies. All this rolled into a week of camp? According to your votes, you love it. Summer and school-break camps integrate STREM topics with camps called “Little Bots,” “Circus Science,” “Geology Rocks” and “Tinker Tech.” Camps welcome kids from age 3 to grade 4 in half- and full-day sessions. No stranger to Golden Teddy, KidsQuest Children's Museum earns its spot for a wide selection of STREM-centric camps perfect for the littlest campers on up to the older set. But move fast! These camps sell out quick. 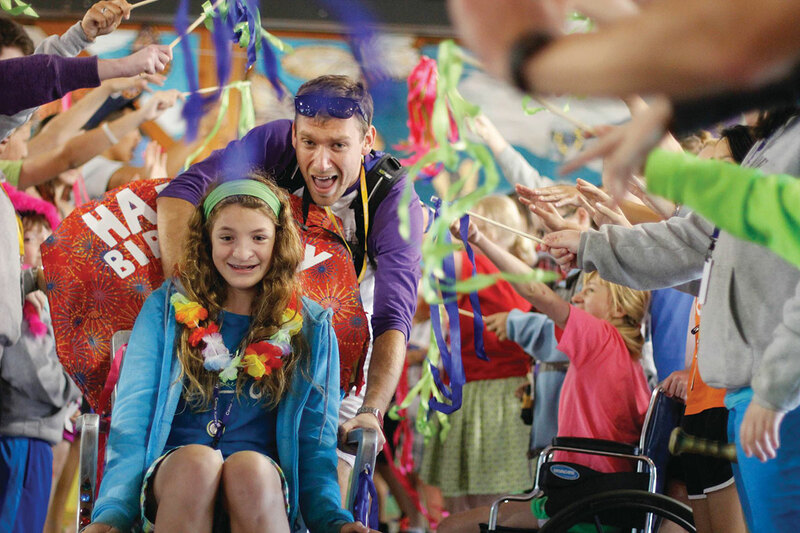 In their second spot on this year's Golden Teddy list, Steve & Kate's Camp gets a nod for its strong STREM focus. "Our camp," write the founders, "conforms to kids." That means giving campers the tools and guidance they need to have a blast and learn a lot. Among team sports for Northwest kids, soccer is tops. You are loving Arena Sports’ soccer programs, such as Lil’ Kickers, which orients children as young as 18 months to the world’s most popular game. 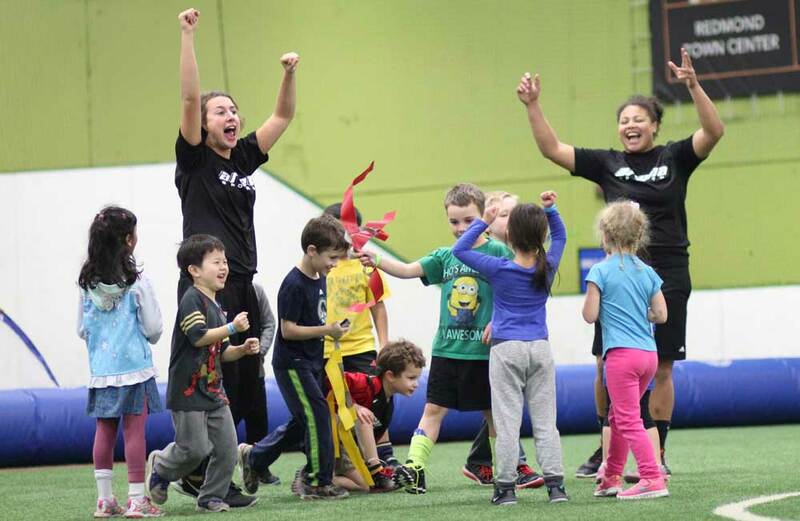 Instruction and opportunities for play continue for a range of ages, from toddlers to adults, and include camps, skills classes and youth and adult leagues. Arena Sports also offers active “School’s Out” camps, which include playtime on the field and in the inflatable FunZone. Arena Sports’ Issaquah location offers an outdoor summer camp as well as swimming lessons. In addition to Issaquah, Arena Sports has locations in Seattle and Redmond. Your votes stacked up for Seattle Gymnastics Academy, showing your love for the serious training taking place at the academy’s gyms. Professional instructors encourage the development of balance, strength and motor skills. But don’t bother the kids with developmental reasons; they’re too busy jumping in the foam pit, traveling the tumble track and having loads of fun. Seattle Gymnastics teaches kids from toddlers up to competitive gymnasts — both boys and girls — through classes and camps its four Seattle gyms. The Little Gym knows kids and the fact that most of them rarely stop moving their bodies. You are enthusiastic about The Little Gym’s ability to focus this energy into developing sports skills, coordination and having fun, as demonstrated by your votes. 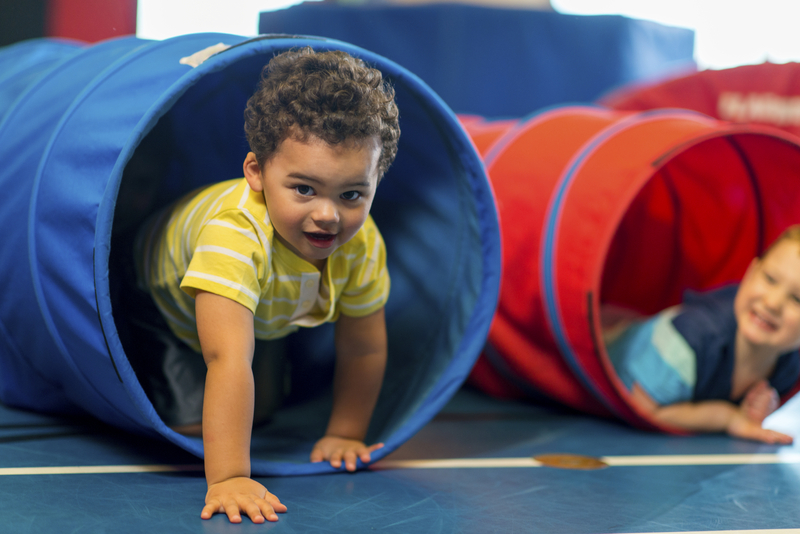 The Little Gym’s 11 Puget Sound–area locations make it super convenient and fun for your kiddos to explore movement, gymnastics, sports skills and karate. The youth sports league organization i9 Sports fills a special niche, and your votes show your appreciation for it. i9 Sports aims to keep the focus on fun and skill building for kids, rather than on competition. For families, i9 Sports fits into busy lives by requiring only one session per week, typically a combined practice and game. Local outlets serving the Eastside and North Sound areas offer leagues in soccer, baseball, basketball and flag football. A soccer camp with a 54-acre campus featuring 12 outdoor and 2 indoor pitches, Starfire Sports is bound to be a hit with your cleat-wearing kid. Plus, Starfire offers adult soccer leagues in case you want to get in on the fun! Stroum Jewish Community Center offers so much to do, it's hard to know where to start! More than 30 different camps mean no shortage of choices for your family. This year's calendar includes art, science, sport and performing arts camps, among others. Movement, music and play — what's not to love about The Little Gym?! There are dozen of locations around Puget Sound, which makes this neighborhood favorite super voncenient for you and super un for your kiddos. Committed to building healthy families through learning, support and community, Woodinville Toddler Group offers age-appropriate learning through a variety of cooperative programs. Plus, parent education courses because the learning never stops! A local darling, KidsQuest Children's Museum encourages your family to explore, play and learn together — all easy to do thanks to their infant and toddler classes! Sunshine Music Together, a multi-year Golden Teddy winner, focuses on how music helps shape your little one's brain. As one Sunshine fan puts it: Sunshine is an "an unparalleled music and movement program that is fun for both children and adults." Sounds good to us! There's a reason why they call it Sponge Language School. Your kid will be picking it up like a local thanks to the classes offered by this Puget Sound favorite. Also keep an eye out for a variety of free Sponge events around the area; they're a good way to get familiar with the school! Circle of Art Studios encourages students to tap into their inner artist with classes, camps, birthday parties and the like. Recent classes have delved into the world of expressive painting, Aboriginal art and symmetry. Oh, and parents: There are wine and art nights, too! Your votes poured in for Camp Gallagher and its confidence-building overnight camps for middle school and high school kids. 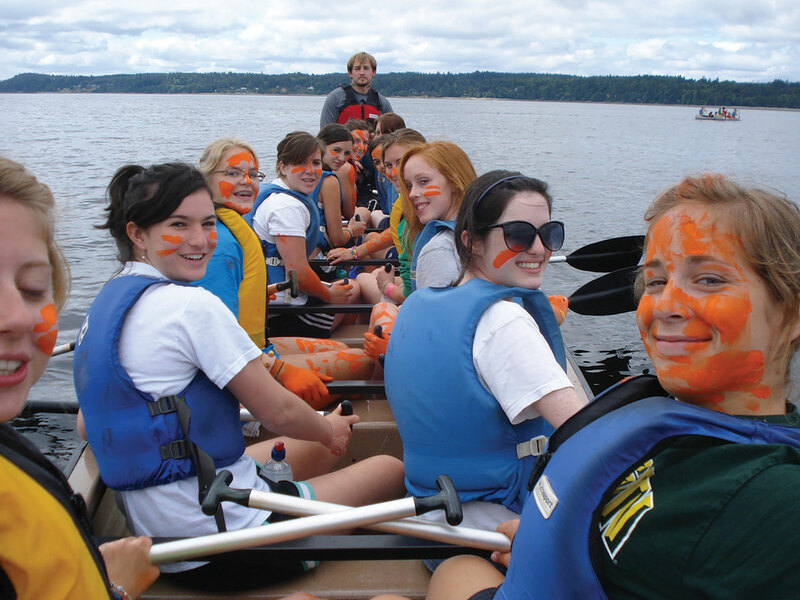 Campers engage in typical summer camp activities, including boating, crafts, camp fires and playing on the beach. Kids also employ self-determination in planning their own group excursions. In a testimonial on Gallagher’s website, one camper described her experience this way: “Summer stripped down to its purest form — water, trees, sunshine, friendships, freedom, adventure.” Campers also carry on insider traditions, such as the Lemming Run. Camp Gallagher is located near the town of Lakebay on South Puget Sound. A boatload of votes for Camp Sealth (which is owned and operated by Camp Fire Central Puget Sound) paddles in every year, making it a mainstay in a number of Golden Teddy categories. For almost 100 years, campers have reveled in all the best summer camp activities, including arts and crafts, horseback riding, water fun, campfires, sports and more — plus the opportunity to build new friendships, a stronger character and life skills. You love the “super-supportive, well-trained staff,” and how well they care for all campers’ needs. YMCA’s Camp Orkila welcomes campers entering grades 3–12 to its scenic spot on Orcas Island, where fun and adventure await. Parents appreciate not only the beautiful location and the amazing staff, but also how well run this camp is, with one voter proclaiming that “the Y is completely dialed in on all facets of coordination, education and fun.” Kids love Orkila’s traditional camps as well as specialty weeks, with themes ranging from horseback riding to digital media to skateboarding. Girl Scouts, you know Camp River Ranch from many an outing. Located in Carnation in the foothills of the Cascades, this scenic camp spans 435 acres, plenty of room to stretch those muscles and those leadership skills. Another Girl Scout favorite, Camp Robbinswold returns to the Golden Teddy list thanks to its well-loved overnight camps for girls. If you go, expect breathtaking views along Hood Canal, saltwater beaches and wooded hills perfect for hiking. Camp St. Albans, also of the Girls Scouts, is known for its extensive horse trail circuit (more than 5 miles!). Self-described as "rustic," Camp St. Albans serves up that traditional camping experience — plus Viking boats! Your votes crowned Duvall-based Wilderness Awareness School king of this popular category, and it’s not the first time. 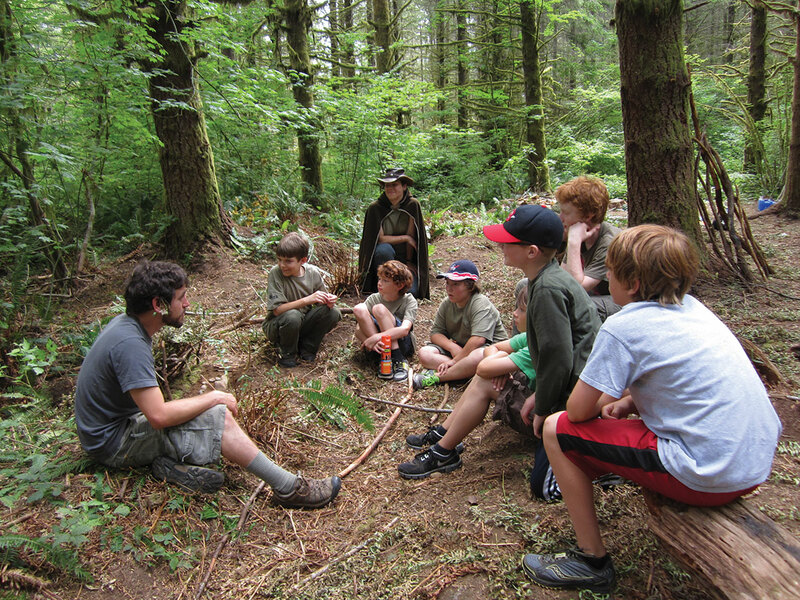 The school delivers a variety of programs and camps for kids and adults, including day camps for young kids focused on basic skills, and overnight camps for teens that teach serious wilderness survival techniques. Exploring nature and acquiring confidence through learned skills and self-reliance are the hallmarks of all Wilderness Awareness School programs. It takes a special staff to lead these programs; one voter raved that “the people involved with this organization are the most genuine and wise people on the planet.” No wonder you want your kids rubbing shoulders with them. You love how Pacific Science Center connects kids to nature, even from its home in the middle of the city. It’s hard to count the ways in which Pacific Science Center endeavors to spread science and wonder to kids all across our region — through its after-school programs, camps, field trips, mobile workshops, teen programs and more. Kids love the “creative” and “hands-on nature” of classes and camps. It’s so fun, there’s no need to remind them they’re learning. At nearly 100 years old, Camp Sealth (which is owned and operated by Camp Fire Central Puget Sound) continues to delight 21st-century kids, and your votes show it. One voter enthused that Camp Sealth “supports kids in trying new things, building social skills and connecting to the outdoors,” all in “an oasis away from city worries.” Located on Vashon Island, Sealth’s beautiful, natural setting includes forest, wetland, beach, meadow and more. 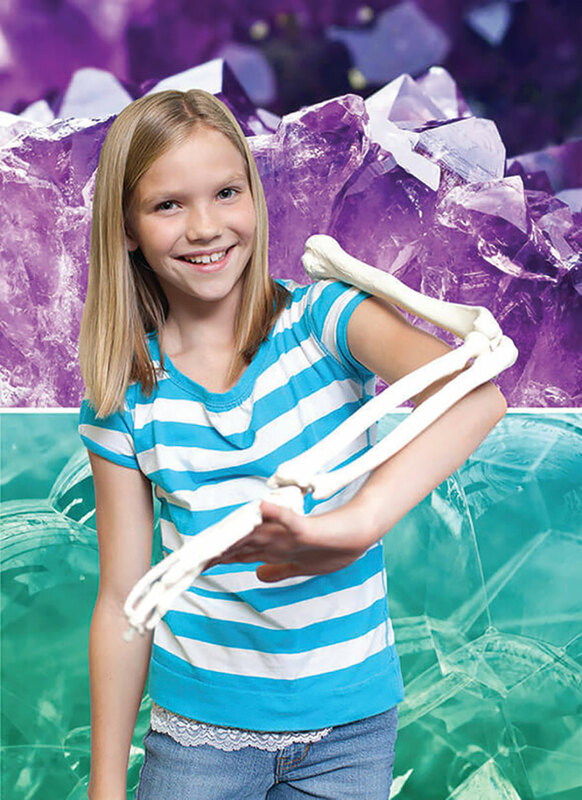 Touch tanks, nature hikes and lessons about the solar system keep kids active and engaged. Oxbow Farm and Conservation Center in Carnation isn’t a camp with a little vegetable garden; it’s a real, working farm supplying CSA (community-supported agriculture) customers and restaurants with locally grown produce. You love that your kids come for camps and field trips to get a close-up view of where food comes from, to participate in what it takes to get food from the dirt to our tables, and to munch on the farm’s delicious bounty, of course. Claiming another spot on this year's list, Camp River Ranch offers a home for any outdoorsy explorers, whether or not they're Girl Scouts. Plan to swim, canoe, kayak and more when you visit this 435-acre wonderland. Also a Girl Scout camp, Camp Robbinswold has a total overnight capacity for 176 in bunks, which makes it a great spot for large groups. Also featuring two shower houses, open-air rotunda and boat house, Robbinswold is bound to offer fun all year long! Looking for a camp to help give your kid a leg up in today's competitive world? Russian School of Mathematics (RSM) offers after-school math enrichment, tutoring and test prep for kids in kindergarten through high school. Expect a traditional Russian- and European-influenced approach to math. Feel like you're seeing the name "Wilderness Awareness School" a lot on this list? It's because you are! This Golden Teddy darling has oodles of after-school programs that meet at local elementary schools or parks, making them convenient as well as educational. Illumination Learning Studio in Greenwood offers a number of interactive music and art classes as well as week-long classes for your young learners. And big news: This fall, they're opening two new locations, one at Piper's Creek and the other at Ballard Locks. KidsQuest Children’s Museum claims another spot on this year's Golden Teddy list with their well-loved enrichment programs. Ideal for children up to age 8, these courses range in topic from science to math to art and verything in between. Wish you'd learned another language or three as a kid? Sponge Language School has kid-focused courses in Mandarin, Spanish, Fresh and Japanese with locations throughout the Seattle-area including spots in Bellevue and Mercer Island. Say bonjour to new opportunities! Founded to create a safe and enriching community space, Circle of Art Studios wants your family to embrace the creative process through fun classes. Not to mention these hands-on courses will help develop your child's cognitive, fine moter and problem solving skills! Camp — it's not just for kids. According to your votes, that's particularly true at Camp Gallagher. As the camp's website proclaims, "Love summer. Love Gallagher." The South Sound favorite offers sunny, sandy adventures in Lakebay that take Pacific Northwest fun to a whole new level. Celebrating its 30th birthday this year, North Cascades Institute offers educational programs and seminars to inspire the natural historians in your family. Upcoming classes include such Northwest gems as the ecology of beavers, wildflower photography and canoeing. Camp Sealth (which is owned and operated by Camp Fire Central Puget Sound) is an overnight camp located on Vashon Island, a quick 20-minute ferry ride from downtown Seattle. Start planning your trip to this nearby getaway. On the docket for Camp Seymour in Gig Harbor: YMCA courses and classes to get your family outside. Check out their day and overnight options for the outdoorsy level best suited for your campers. Camp Robbinswold encourages your family to come "camp with us!" And believe us, they've got room. With 570 acres in Lilliwaup, this popular destination will give your family fun summertime memories for years to come.